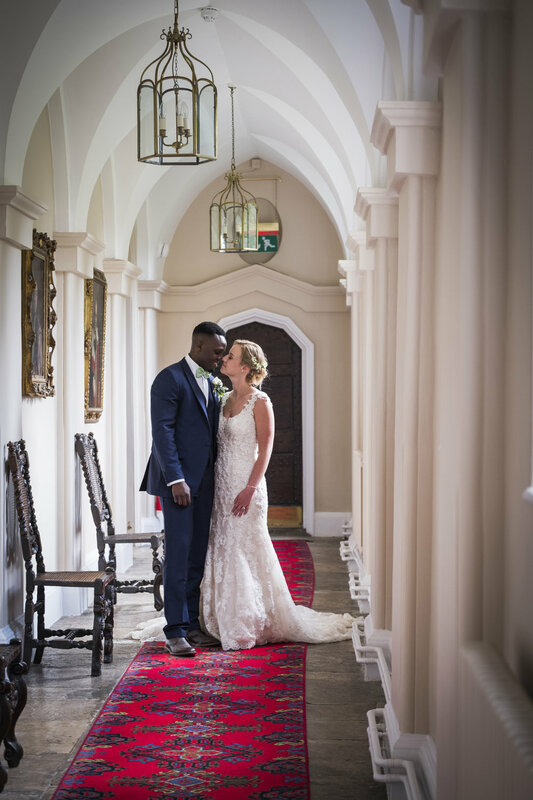 In the heart of the beautiful Chiltern Hills, this Grade I listed Country House Estate, a mere 40 minutes from Central London, is an idyllic setting for your wedding day. We believe in true exclusivity for you and are often described as Buckinghamshire’s hidden gem. We only take a limited number of weddings per year to ensure exclusivity, meaning our Wedding Team has the time and resources to dedicate to the planning and hosting of your wedding day. 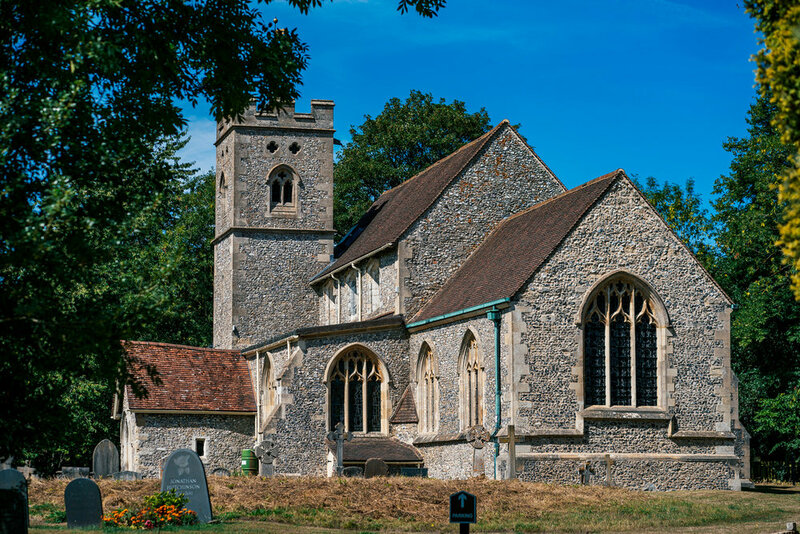 For a church wedding, you may wish to consider the Church of St Mary Magdalene, a 13th Century Parish Church located within our grounds. 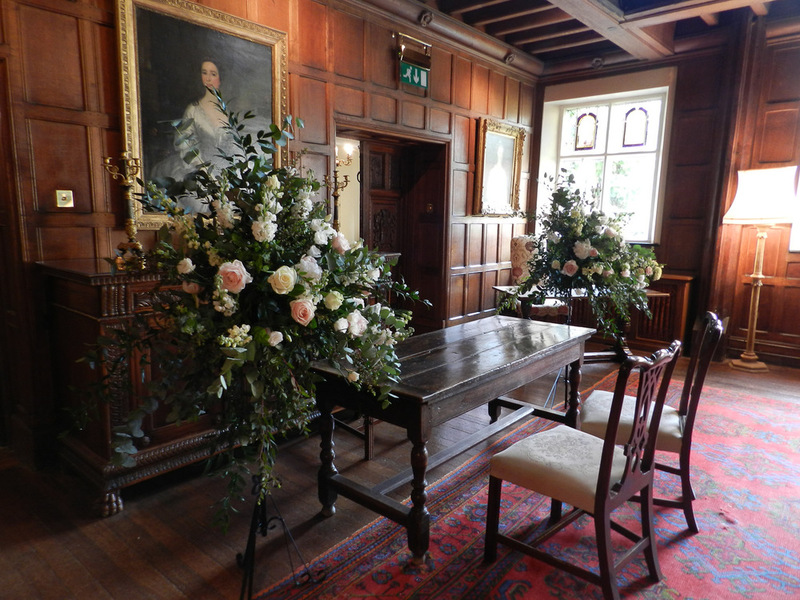 We are also licensed for Civil Ceremonies in the unique setting of the Great Hall and Dining Room. 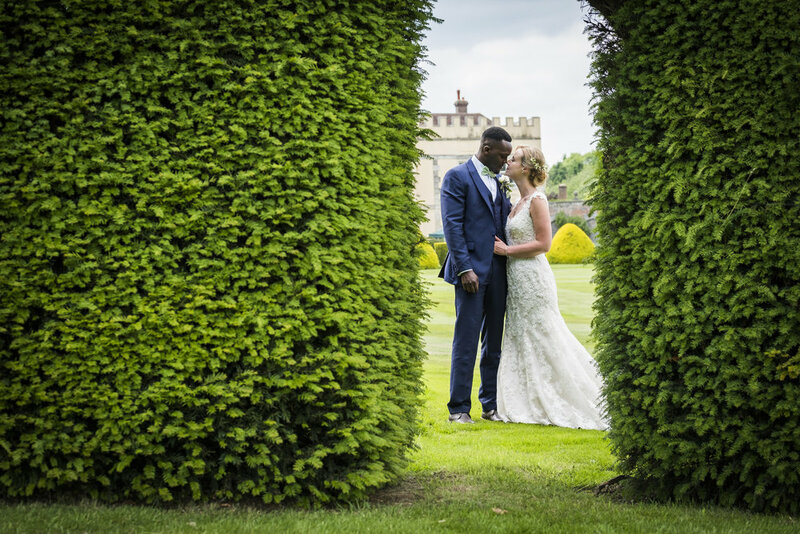 You and your guests can enjoy canapés and champagne on the manicured lawns and capture spectacular photographs in over 350 acres of privately owned parkland. 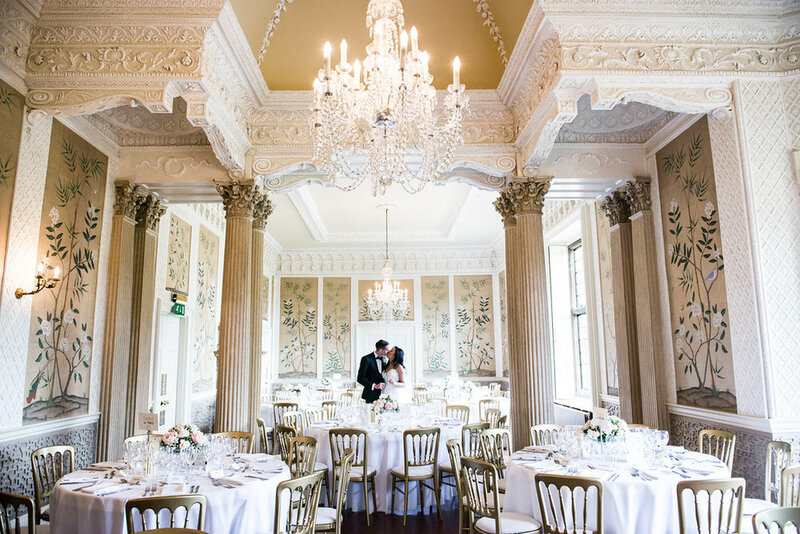 Host a glorious wedding breakfast for up to 104 seated guests within the beautifully ornate Dining Room and continue your celebrations into the night by dancing in the Georgian Wing with full bar facilities. Marquees for up to 200 guests can be accommodated on our lawns by special arrangement. Please speak to the Wedding Team for venue hire pricing for a marquee wedding. We do not have overnight accommodation available at Hampden House. However we do recommend a number of local hotels who can accommodate you and your guests for your wedding night. Please speak to a member of the Wedding Team for further details. 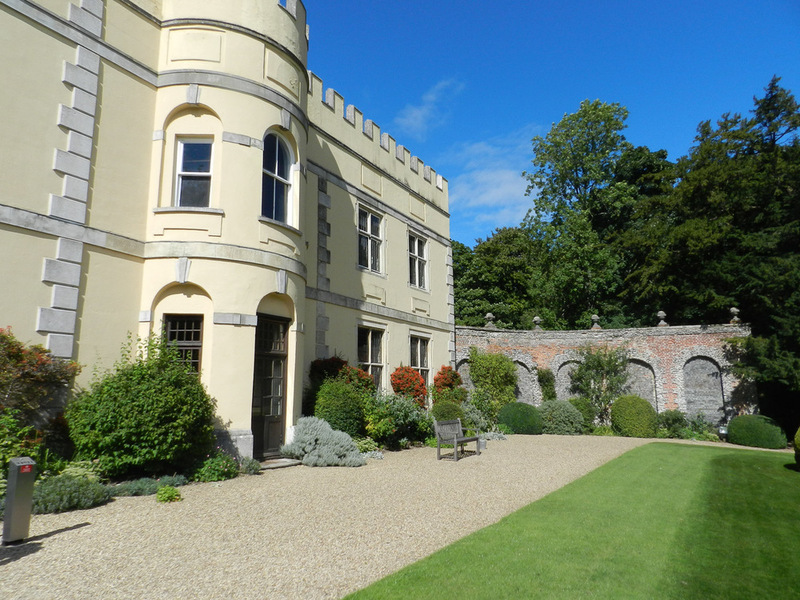 Hampden House is situated in over 350 acres of historic parkland and beech woods with far reaching views across the Misbourne Valley. 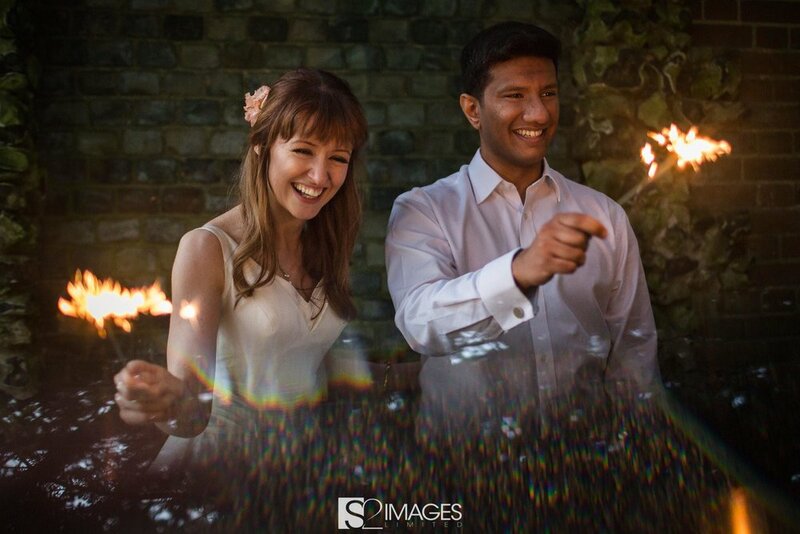 Fabulous opportunities for stunning wedding photographs await in our magnificent grounds. Enjoy Champagne or Pimm’s on the lawn and perhaps a game of croquet or two. 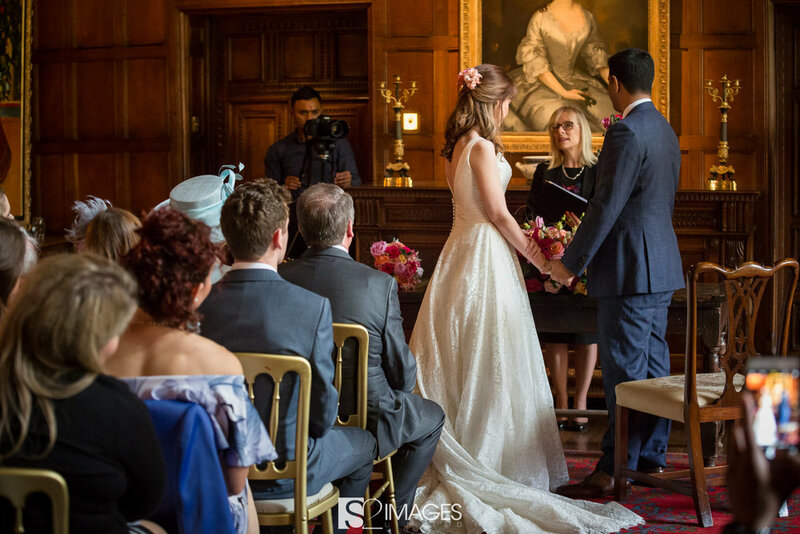 The private and exclusive atmosphere of Hampden House offers the perfect location for a civil ceremony amongst family and friends. 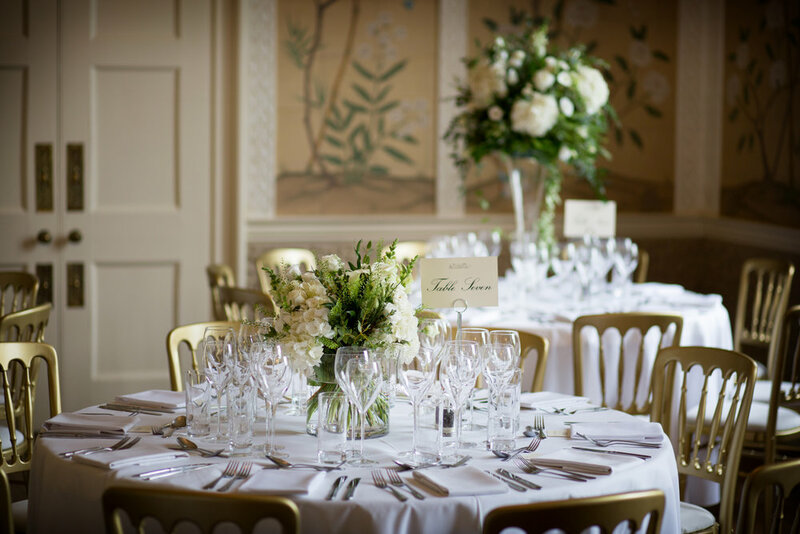 After the ceremony the gardens provide the perfect setting for a champagne and canapé reception, followed by a three course wedding breakfast held in the beautiful Dining Room for up to 104 seated guests. For civil ceremonies taking place prior to a drinks reception and wedding breakfast at the House then the price is £270 in addition to the Exclusively Yours or Bespoke hire costs. 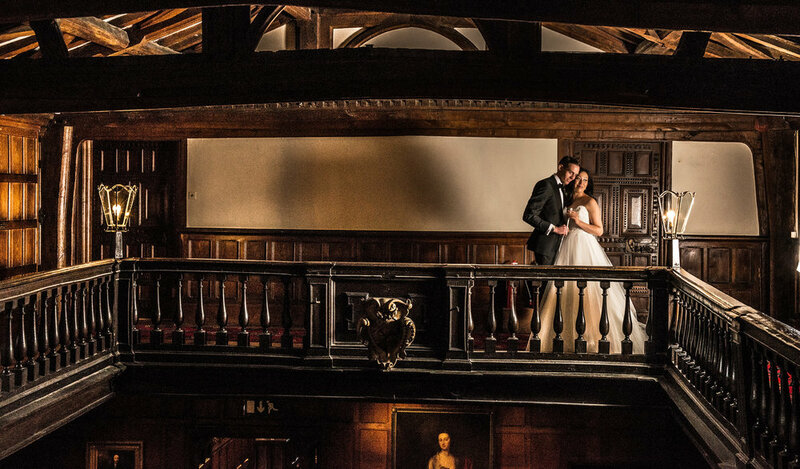 Should you wish to continue your celebrations elsewhere after a civil ceremony held in our Great Hall or Dining Room then we can offer this to you with venue hire prices starting from £1100. At Hampden House we are happy to assist you with any special requirements that you may have. Should you wish to hold an intimate civil ceremony during the week followed by a small champagne reception, we would be happy to accommodate you. Please speak to the Wedding Team if you would like to discuss your options further. Call us on 01494 489042 or email weddings@hampden.co.uk. 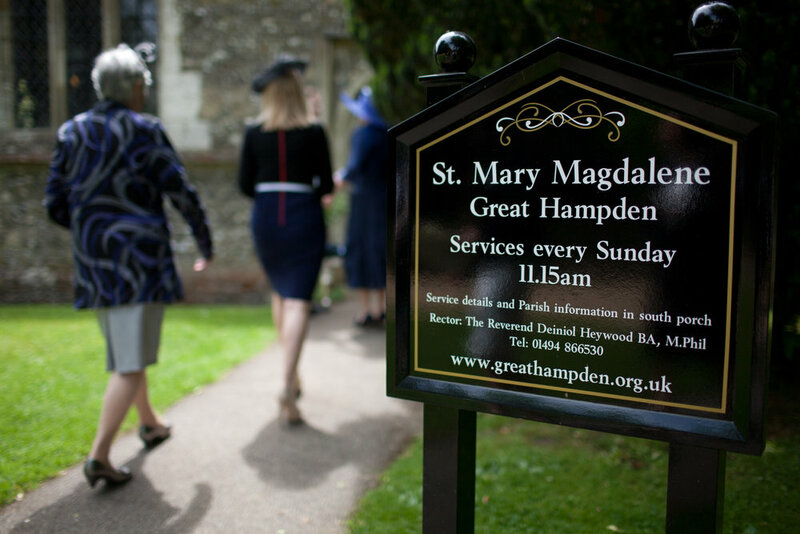 For a Church wedding, the beautiful 13th Century Parish Church of St Mary Magdalene epitomises the traditional wedding, and is conveniently located along the Hampden House drive. In choosing Hampden House, you are not just booking a venue. We are committed to ensuring peace of mind so that you can live presently throughout your engagement. We will be there at every stage to ensure that your day runs smoothly. With our experience in making dreams come true, our Wedding Team will listen and help translate your own vision into reality whilst offering friendly support and advice. 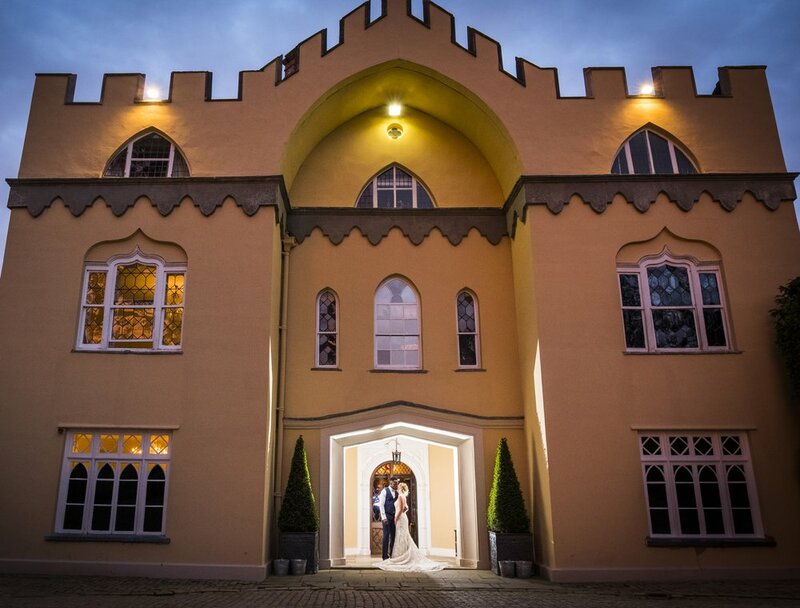 We are delighted to offer two styles of weddings, with each one offering exclusive use of the venue. The Exclusively Yours options, designed to assist the busy couple, cover all important elements of the day such as venue hire, daytime food and drink, table flower arrangements, table stationery and evening disco. This all-inclusive basis helps to ease the stresses of planning a wedding whilst still offering you the opportunity to influence the style of your special day with your food, stationery and flower choices. Prices for our ‘Exclusively Yours’ packages start from £160 per head and are based on a minimum of 80 adult guests. Please see our brochure for more specific details of our ‘Exclusively Yours’ options and download our full wedding breakfast menu by clicking the button below. The Bespoke Wedding option enables couples to take full control of all arrangements for their day. Ideal for couples who have lots of imagination and who want to be more involved in the planning and organisation aspects of the day. This includes venue hire and the option to pay corkage for your own wine and champagne for the drinks reception and wedding breakfast. By choosing our Bespoke option we will work closely with you and our carefully selected partners to produce an individual wedding celebration that is tailor-made for you. Prices for our ‘Bespoke’ option start from £4950. Please see our brochure for Bespoke wedding prices as these change on a seasonal basis. Each choice offers exceptional levels of support and expertise from the in-house Hampden Wedding Team. 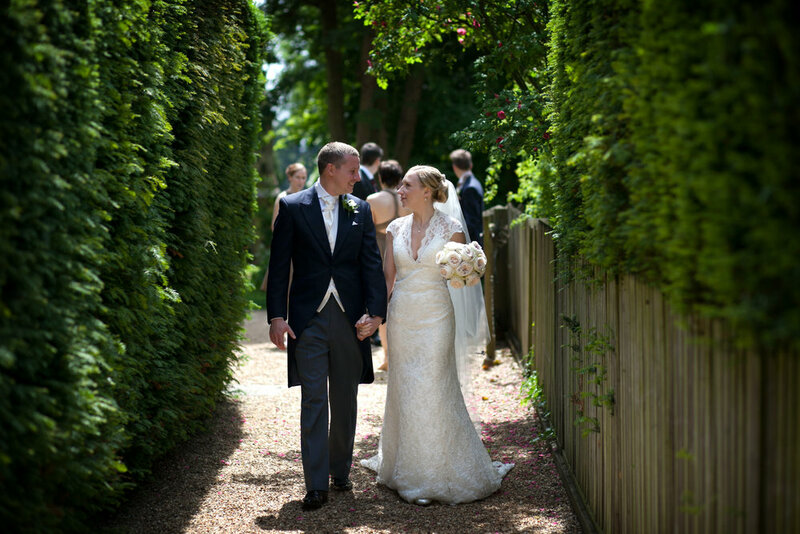 Thank you for contacting Hampden House Weddings! Please click this link to download the brochure. You may also like to browse our Facebook and Instagram pages for up to date news and photographs from Hampden House Weddings. We believe that cuisine and excellent service is one of the most important aspects of your wedding day. To reflect this and in keeping with the elegance of your surroundings, we have carefully selected our cuisine partners, Cavendish Events, who will share with you their passion for food. Their expertise ensures you can relax and thoroughly enjoy your day. 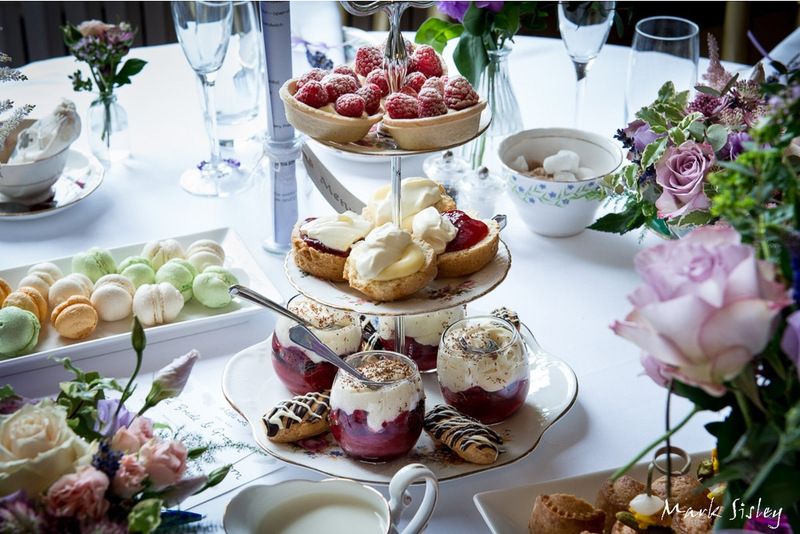 Whether you are looking for a three course wedding breakfast, an afternoon tea or something a little different, nothing is too great a challenge to make your day even more special. Speak to the Wedding Team on 01494 489042 or email weddings@hampden.co.uk for further details about Cavendish Events and our other preferred caterers. Thank you for sending your details to the Hampden Wedding Team. We will be in touch with you shortly. Our office hours are 9.30am to 5.30pm Monday to Friday. 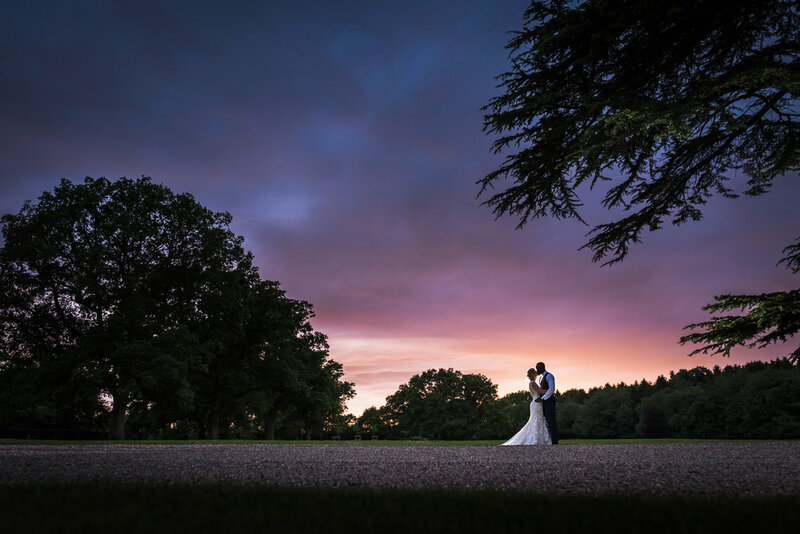 To find out even more about weddings at Hampden House please fill in the form and we will be in touch with further information. Our opening hours for viewings are between 9.30am and 4.30pm Monday to Friday with Saturday viewings by special appointment during our wedding season only.